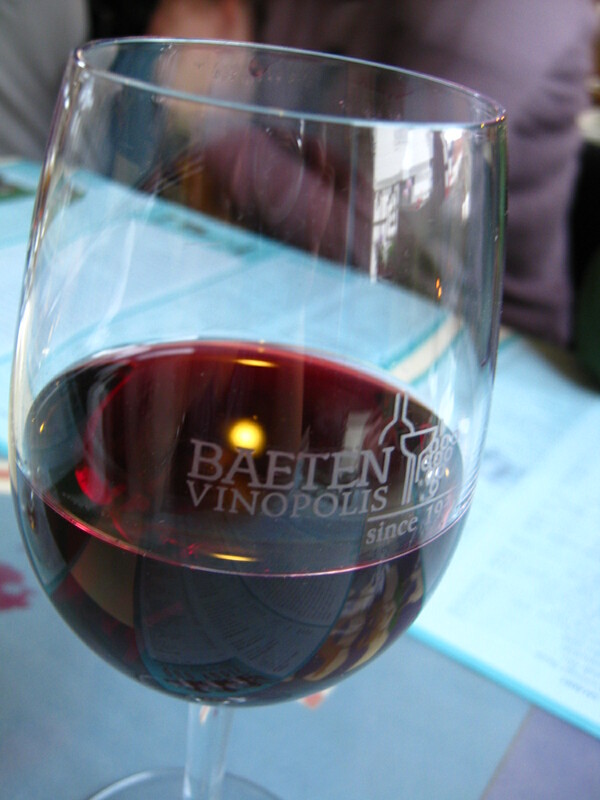 PhooD around town – Quo Vadis? Unlike David and Kookie, I never managed to come up with a real birthday dinner menu, much less find the time to cook one. For starters, as much as the common kitchen/dining area in my residence is clean and airy, the interior décor left me in constant state of despair (evidences here and here). I know, what can I expect from a university dorm kitchen anyway? Second, my birthday fell on a weekday (a Wednesday), which is a regular lab day for me, therefore no kitchen-time for cooking. Besides, family (and work) traditions dictate that birthdays should be celebrated with pizza (from Pizza Hut). Fine, I’m away from my family—and from my old workplace—but I won’t give up on the pizza tradition. 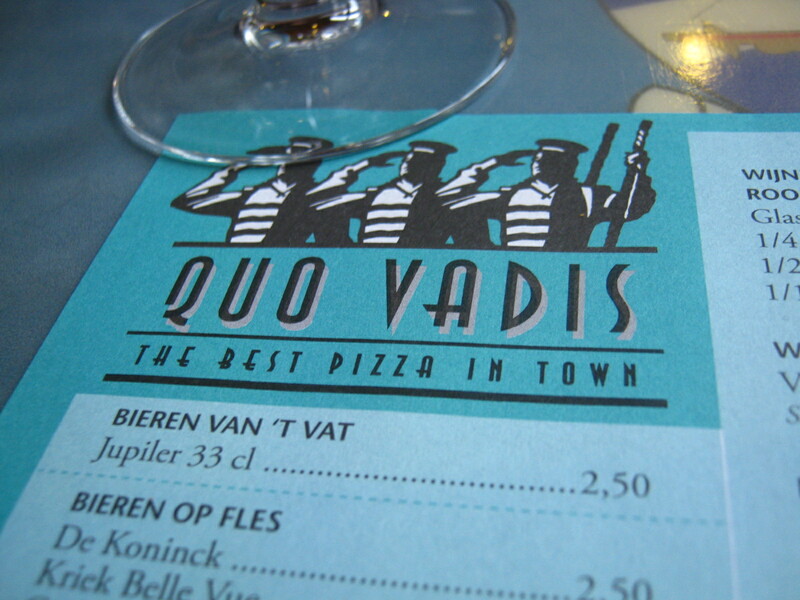 So, I celebrated my birthday last May with my adopted Leuven family (composed of a few friends from the lab and the seminary) in an aptly-named place called “Quo Vadis?“, an Italian restaurant somewhere in the middle of Muntstraat (a.k.a., Leuven’s “restaurant row”). Quo Vadis? has been up and running for 20 years in Leuven, serving pizzas and pastas to university students with a bit of extra cash (pinched from their regular “beer money”, haha), families and other Leuven townsfolk. And, from what I gathered from eavesdropping students’ conversations in Dutch, it’s one of the best places to go for Italian thin-crust pizza. The place itself was clean and sailor-themed—none of the kitschy “we are Italian!” décor. The service we got was efficient and unobtrusive. And the pizza, yes…the pizza! 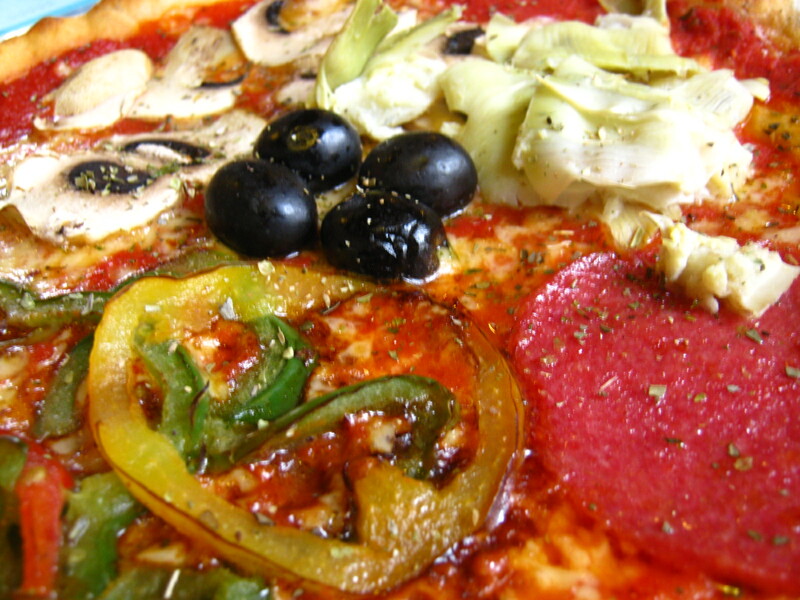 I had the Quattro Stagioni, which came loaded with tomatoes, mozzarella, bell-pepper strips, pepperoni slices, mushrooms, artichoke hearts and black olives…on a perfectly-thin, crisp crust straight off the oven. This pizza was hearty—they did not scrimp on the toppings, and artichoke hearts!—and the flavors very robust without overloading the senses. And the crust was thin enough to be crispy, but not too thin as to get soggy with the sauce easily. One of the few Italian restaurants who had achieved this Golden Mean of pizza-making. Two: Be adventurous. I’ve been a long-standing fan of Quattro Formaggi in other pizzerias just because it’s cheese pizza—very plain and very safe. To make things interesting and memorable, try ordering a different variant. I picked Quattro Stagioni because of the ‘chokes. Curiosity can surprise you with a new favorite. I guess when I celebrate my future birthdays back in Manila, I won’t look for Pizza Hut. Ooohhh Pizza Hut Palm Card! But once you’ve had the thin crust version, it’s hard to go back to deep dish. I once had Pizza Frutti di Mare. The mussels were scattered on top with their shells still on! That was a pain to eat.